The Teamwork Integration allows you to seamlessly log your entries within Teamwork whenever you've completed a task, logged some time or both! 1. If you’re an Admin within your Teamwork account, you can switch on the integration in your Settings/Integration tab, where you’ll see the new integration. 2. 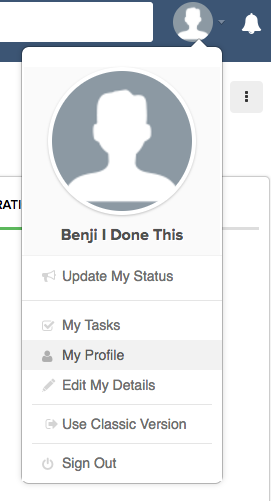 Click the tab for the Integrations section, where you’ll see the new I Done This Personal Settings option. If you can’t see this it means that your Admin hasn’t enabled the integration. Click on the settings button where you’ll see three simple things – (1). a space to fill in your iDoneThis API key (which you can find here.) (2). the team within I Done This.com that you want the information posted to and (3). a selection of options of what you want Teamwork.com to send I Done This. Once the integration is activated, any time you complete a task and/or log time (whichever options you’ve selected), Teamwork will push that information I Done This and it’ll be included in your daily digest of what you got done.